I wanted to read some seasonally appropriate middle grade books, in hopes of finding some that I could share with my kids. I don't love Halloween--at all--and I never read horror on my own. I wasn't looking for truly scary books, just some with a pinch of Halloween flavor. If that sounds like it would be right up your (somewhat deserted, not very dark)--alley here you go! Enjoy! 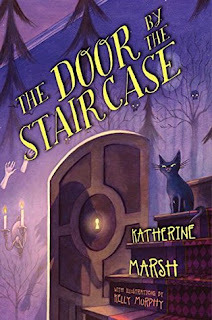 5 stars: Just reading it myself, probably a 3-4 star read, but as a read-aloud--5 stars all the way! This was such a fun book to share together! Harold, the family dog, tells the strange story of a new pet brought home from the movie theater--a black and white baby rabbit with red eyes. 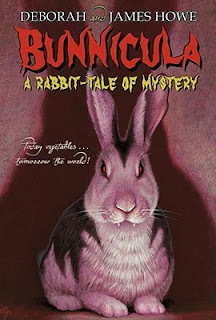 The family names him Bunnicula, because they were watching Dracula when they found him all alone in a shoe box. Something is not quite right with this bunny, though. Chester the cat is convinced that Bunnicula really is a vampire and he tries to convince Harold as well. The completely white, drained vegetables the family has been finding in the kitchen proves it! First the vegetable drawer, then the world!! I was pleasantly surprised! I've known about this book for a long time, but never really taken the time to read it. It was not scary--it was funny! The interactions between Harold and Chester were the best. The vampire bunny sucking the juices out of all the vegetables was so ridiculous it was just funny, as well. 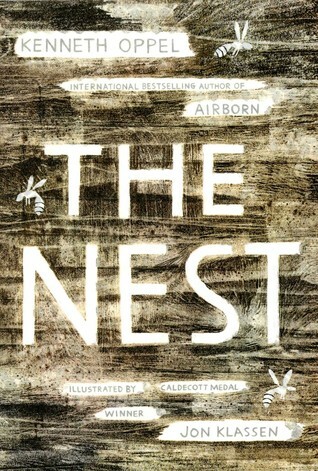 Just this week, I read it to my kids in one sitting. We were all giggling through the whole thing! In fact, I think that's the most we have ever laughed during a read-aloud! Even my 8-year-old, who was reading his own book on the other couch, kept stopping to hear the dialogue between the dog and cat and laughed right along with us. I call that a win! There's a whole series of these--I'll have to check out the next ones. 3 stars: Mary must make herself a home with Madame Z--and hopefully, not get eaten. Mary Hayes, a resourceful orphan from the Buffalo Asylum for Young Ladies has come up with an escape plan. She almost makes it too, except that a very strange whirlwind bars the way, causing her to get caught. The next morning, she is resigned to a long and dreadful punishment, when Madame Z shows up and actually adopts her! Takes her away that very day. Mary can hardly believe her luck! In fact, Madame Z takes very good care of her, feeding her lots of delicious meals and providing her with warm clothing and boots that fit. Even Yulik the cat seems to like her, which Madame Z admits is unusual. Her new home is just outside a small town known for its magic acts, and Mary soon makes a friend--a boy named Jacob. Jacob is the son of one of the magicians, and he not only has very quick hands, he can spot a fake every time. Mary can't let herself completely settle into her new life, though. She just feels there's something a little...off about Madame Z. Hard to pinpoint. Some of it has to do with the door by the staircase. You see, when Mary stuck her finger in the lock it bit her. Also, the oven in the kitchen is very, very large. In fact, large enough to fit a whole person inside it. As the strange and unexplainable events pile up, Mary comes to believe more and more in magic---real magic. She also realizes that her very life may be in danger, despite the kindness Madame Z has shown her so far. How will she get out of this one? In this Baba Yaga tale, Mary proves herself to be every bit the heroine: smart, capable, and loyal. She handles challenges admirably, with her sidekick Jacob. It was more suspenseful than scary. There were some tense moments, but they didn't last too long. I guess kids might get scared by the several mentions of eating children. It comes up several times; a bad habit that Madame Z has gotten into. 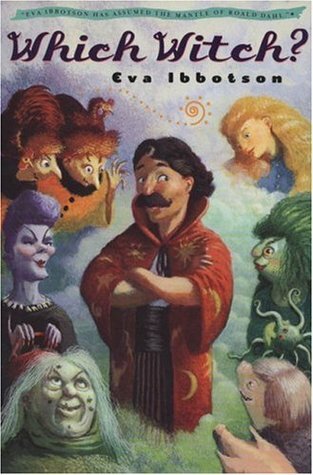 I would recommend this one to ages 10+, though it could go younger if your child has already been exposed to these types of fairy tales. It certainly wasn't any scarier than the first Harry Potter, for instance. I actually think my older 2 (ages 8 and 6) would be fine with it, if I read it out loud to them. They're not familiar with the Baba Yaga stories, but they've definitely heard Hansel and Gretel multiple times. 2 stars: To be honest, this book freaked me out! There's something wrong with Steve's baby brother, but his parents won't tell him what it is. They're just gone to the hospital a lot, and worried when they do come home. Steven has worries of his own. There are wasps everywhere--strange large white and black ones. He has started having very real dreams about a wasp queen. 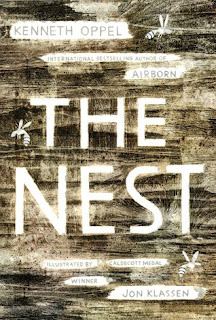 She is telling him that they are going to fix his brother--and it has something to do with the large wasps' nest steadily growing bigger under the eaves of his house. Before long, Steve will have to make a choice. The consequences that follow will change his life and his family forever. If you have a wasp phobia, or claustrophobia, don't read this one. I don't have either, but I was cringing by the end. It has the feel of a B-movie, where something considered harmless--or relatively so--becomes an unstoppable force, pursuing with evil intent. I specifically told my 8-year-old NOT to read this one, as he gets stung several times per summer by wasps, usually for no good reason. I think this book could give him nightmares. I am not targeted by wasps, and I still shuddered inside when I thought of that attic. However, for your family, it might be just the thing to get you and your kids into a Halloween mood! Perhaps a good one to preview first, though, before handing it off. It's short, so a quick skim wouldn't take long. It's a little creepy. 3 stars: Big sister to the rescue! + soul-stealing spidery spindlers. One morning Liza realizes that her younger brother Patrick is no longer himself. It's not something she can put a finger on, exactly. He's quiet instead of noisy. He gives perfect answers to her tricky questions, but there's a hardness to him--a blank space where there used to be a whole boy. She knows just what is wrong, too. 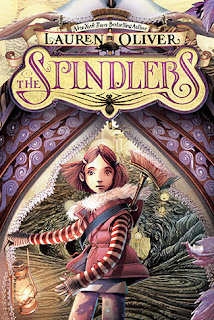 Their babysitter told them all about the spindlers, before she went off to college. They are like spiders, but they come in at night and fish your soul out of your body, then replace it with an egg sac. She has no proof, but Liza knows that Patrick's soul has been taken by the spindlers. She is determined to get it back, no matter what perils she may face in the Underworld. Okay, I really don't like spiders. Maybe for someone who doesn't mind spiders, this book would not merit a place on this list at all. The adventure itself isn't overly intense. Liza meets up with a rat who has a funky fashion sense, and who becomes her guide to the Underworld. Along the way to the Big Showdown with the spindlers, there are some other interesting characters they run into and have to deal with. There were echoes of several other books in it, including Gregor the Overlander and Alice in Wonderland. It's quirky and a bit predictable. For ages 8 and up. 4 stars: As good as I remembered! Arriman the Awful was an evil wizard prodigy, but now he's growing a bit weary of all the blighting and smiting. Not that he wants to turn good, you understand, oh no. Just that it might be nice to have some time to develop some other hobbies once in awhile. He goes to a fortune-teller by the name of Esmerelda, who foretells a new evil wizard is coming, even greater than Arriman himself. This new master of darkness will take over from Arriman, leaving him to do as he pleases. Except that as the years pass, the new Wizard doesn't come. Finally, Arriman faces up to the dreadful idea that perhaps he is meant to marry (a witch, of course) and produce an heir...who will then replace him. He decides to hold a contest for all the local witches. The winner will be his bride. Unfortunately, the witches of Todcaster do not have much to offer these days. There's old Mother Bloodwort, who in times of distress turns herself into a coffee table; the ever fighting Shouter sisters; Mabel Wrack, daughter of a mermaid; and Ethel Feedbag, whose favorite footwear is Wellies with manure on them. Oh let's not forget Belladonna, of course, but as she is a white witch there's no possible way she could win the contest anyway. Despite the obvious shortcomings of the contestants, the contest must go on. Arriman is not a quitter. Each witch must perform a spell for a panel of judges. The darker the better. May the best witch win! This one is a sentimental favorite. I had a copy of it that I read several times growing up, though it has probably been 10 years since I've read it last. It's poking fun at the Dark Wizard trope, and the characters are so overdrawn it's just amusing. This time around, Arriman's faithful assistants who shore him up ("No use turning back now, sir") were probably my favorite part of the whole book. Mr. Leadbetter, secretary, was an ordinary human (albeit with a small tail), and Lester was an ogre. It was interesting reading it from the persepective of a parent, wondering if I should read it to my kiddos. Not yet. I think they would get sidetracked by the sorta creepy stuff (a ghost who murdered all 7 of his wives, the ghoul, everything about Madame Olympia,) and not see the humor in it. Content: Covens and witches, evil spells, and some nasty characters. For ages 12+. What a fun list! I'm going to have remember these for when my kids are a bit older (or maybe for myself, next year :). Thanks, Suzanne! I'm reading an adult novel right now and wishing they would just summarize, or something. I guess I'm used to the middle grade length!